In July, home sales dropped slightly from June when we saw a slight jump in sales. 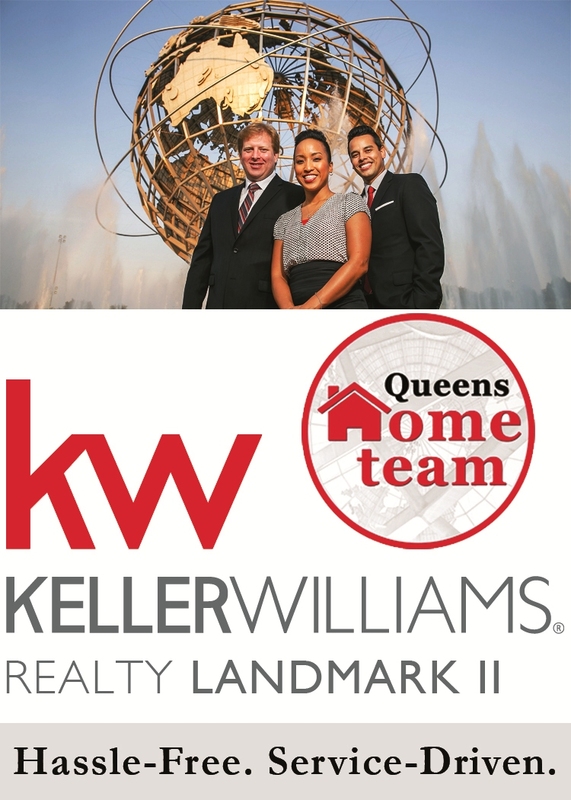 The increase in sales pace in June & July led to another substantial increase in home price which is likely a result of a decrease in the number of homes on the market in Queens. Mortgage rates are now below the previous year’s level, offering an opportunity for home buyers who thought they missed their opportunity for low rates last year to secure them now. This summer’s growth in the housing market is a positive sign for the overall economy after the county got off to a rough start earlier in the year. 30-year rates dropped 4 basis points from the same week of the previous month, continuing this year’s streak of relatively flat and occasionally falling mortgage rates. 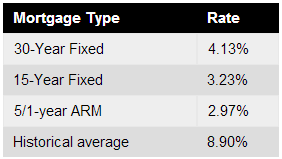 Currently, Freddie Mac reports the following figures: 30-year fixed rate, 4.13%; 15-year fixed rate, 3.23%; 5/1-year adjustable rate, 2.97%. The seasonally adjusted annual rate of home sales dropped to 732 homes in July, a month-to-month decrease of 1.5% and a slower pace of home sales since last July. Sales were down 17.9% from last year. Residential home sales were down 13.3% compared to this time last year, while Condo sales were also down, by 51% year over year. Lastly, Coop home sales were down 14.4% from this time last year. 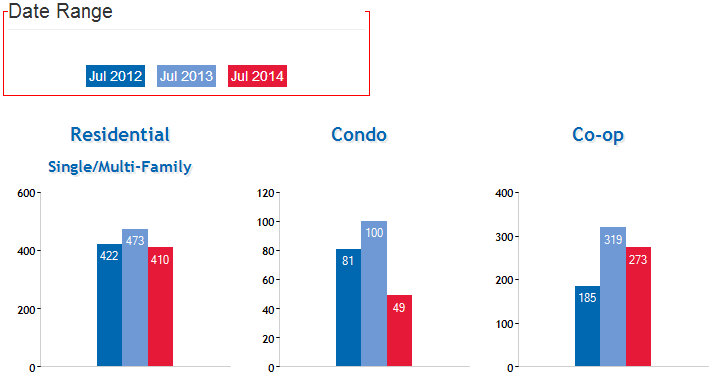 So all in all, home sales are down across the board year-over-year. The median home price increased 2.6% in July to $385,000, up 4.1% from the same month last year. As we move into the peak months for the Queens’ housing markets, we are observing home price growing at a similar rate to last year on a monthly basis. 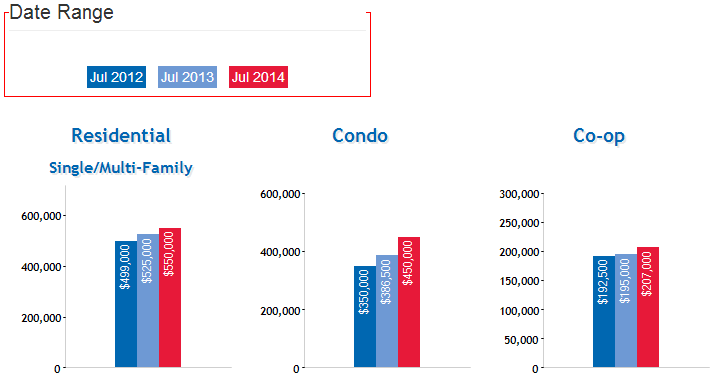 However, the year-over-year price increase in July was less than half of that seen last year. This slower rate of annual appreciation is more consistent with sustainable growth. Median home prices for residential homes were up 4.8% while the median home prices for Condos were up a significant 16.4%, and finally, median Coop sale prices were also up by 6.2% year over year. The number of homes available for sale decreased by 2%, the second month in a row of decrease in homes on the market. That translates to 8.4 months of supply. In general, the market is still slightly in favor of sellers across the county, especially if you are the seller of a residential home or Condo. However, there are still neighborhoods with more supply than there is demand, and in these areas, the buyers still have an advantage. Inventory is down 8% from last year, so buyers still have very limited options available to them.